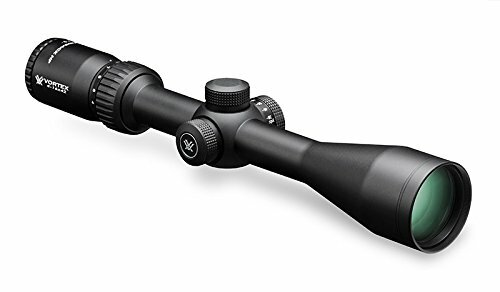 Top 3 Best Rifle Scope For .30-06 Reviews 2019 - Which is The Winner? 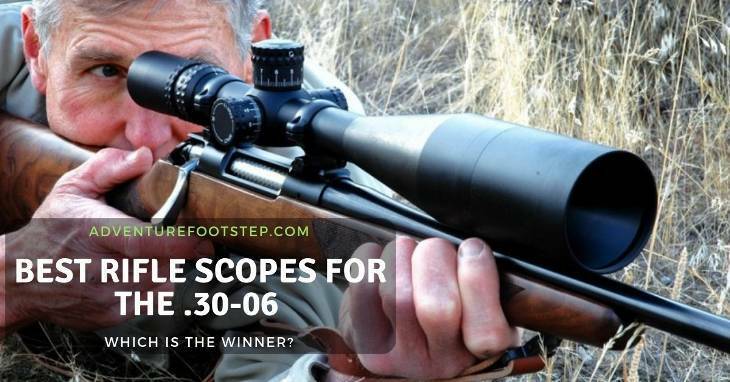 →Top 3 Best Rifle Scopes for The .30-06 Cartridge: Which is The Winner? Top 3 Best Rifle Scopes for The .30-06 Cartridge: Which is The Winner? Hi guys, we’re here! We see what you want. Hold your horse! But Before getting to know what is the best scope for the .30-06 round, let’s dive back into the history of this ammunition. The .30-06 Springfield cartridge has a measure of 7.62 x 63mm (in the metric system). The reason it is called that way is that it refers to the caliber of the bullet which is in.30 inch and 06 stands for the year 1906 which it was first utilized with a firearm on the battlefield. The .30-06 was the main ammunition for the United States Army since 1906 until the early 1980s. It was mostly used in primary rifle and main machine gun. Nowadays, this particular cartridge is still very popular in sporting games and hunting activities. All the major manufacturer have produced commercially this cartridge to serve the hunting market. There is no doubt that the .30-06 round is one of the most sought-after ammo for the professional hunters around the world. As it stands right now, each piece of ammo has the weight varied between 7.1 to 14.3 grams and can pack a powerful punch over the long-range distance (nearly reaching 1000 yards). That is why if your main game is long weekend hunting, then you must have used the .30-06 ammunition before. And being the most popular ammo for the long range, it is also essential to look for the best scope that can pair perfectly with this ammunition. Because the .30-06 can reach a 1000 yards range does not mean that you have to purchase a scope to fit that specific range. In fact, before buying any scope​​​​, it is crucial that you know what range you want to aim and shoot downrange. Below is the simple rule of thumb to help you make a quick decision. Keep in mind that you always have to account for bullet drop effect in long range shooting. After 200 yards, the bullet begins to drop and travel with lesser velocity. After about 300 yards, the bullet will drop 1 foot from the original aim target. That is why you need to purchase the right scope with the right magnification power that can compensate for bullet drop effect. There is no debate that magnification is one of the most essential elements that you should pay attention when buying a scope. Magnification power on a scope can be denoted as 2x7 or 3x9 power. The higher the power, the better the magnified view from your scope. That means that you can see long range target bigger and more transparent, but it also has a drawback of the bigger tube size, which creates more mounting weight on the rifle. The power of 9x fits perfectly for this range. You can even reach the milestone of 1000 yard shot with a little bit of experience. The scope with power between 4x - 9x is the right choice for this range. You can comfortably hunt down anything on the field. The scope of 1x - 4x power is a fantastic pair for the rifle with .30-06 round. The force of the ammunition is deadly with this range, and the scope will significantly enhance the short-range shooting experience. With the knowledge of the magnification in mind, let’s get straight to the review of the best scope for the .30-06 cartridge. 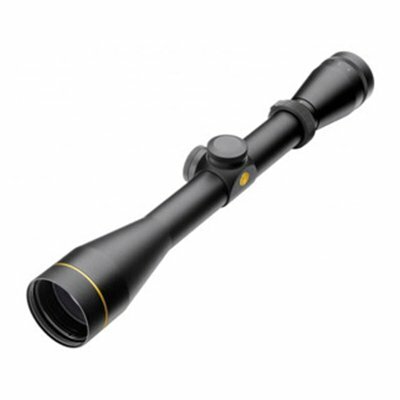 The first outstanding feature of this scope that you can notice right away is the 3-9x magnification power. That means you can reach significant range with ease. Furthermore, the 3:1 zoom ratio erector system of this scope is brilliant. You can adjust the range that you want to focus dynamically on. The 40mm lens is also a perfect measure to let a lot of light travels inside the scope’s tube. As a result, any image inside the scope will be brighter and more apparent. You will have a much more reliable time to keep your reticle still on the target. Moreover, the material of this scope is waterproof and fog proof, which is convenient to carry out a long hunting expedition. Last but not least, the Leupold exclusive technology called Matched Lens System is terrific. You will notice the exceptionally sharp and crisp image resolution when you look down the scope. There is no blurring on edge to the scope thanks to this brilliant technology. An entire field is visualized clearly and brightly under the scope. It does not matter if you are out on a bright day or dim day. There will always be enough light inside the scope that the image will never fade away — a huge bonus for hunters. The unique Leupold Matched Lens System which delivers the top quality image inside the scope. No parallax adjustment, which may not be preferred by some experienced hunters. No convenient zero reset for the turret. The Nikon Prostaff can offer a top quality image with is a multi-coated optical lens, which guarantees 98 percent of the light transmission. 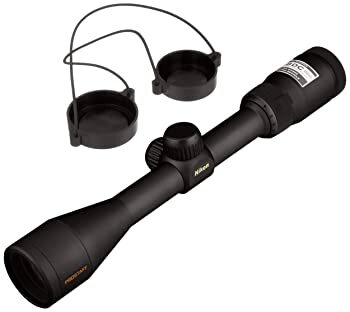 This massive duty scope is substantial for its power if you can look past its 1lb weight. Nonetheless, the high power magnification 3-9x completely makes up for it. You can freely adjust the turret for fast targeting as well as quick target switching. The turret can be zero set to the default option. Most importantly, we must mention about the Nikon’s BDC reticle. It is the unique technology that Nikon has been developed throughout the decade to enhance the performance of BDC reticle. With this particular reticle, you will have the extra accuracy with this scope to deliver any deadly shot. Furthermore, the 3.6-inch eye-relief will make the recoil very tolerant for any hunter, even the amateur ones that have not been shooting that often. Just like any other scope in the market, the standard material of the scope is also waterproof, shockproof and fog proof. This scope is the one of the masterpieces in the Diamondback series from Vortex. It has some extra built-in features that a lot of hunters will find fond of. The first one to mention is the maximum 16x power range. 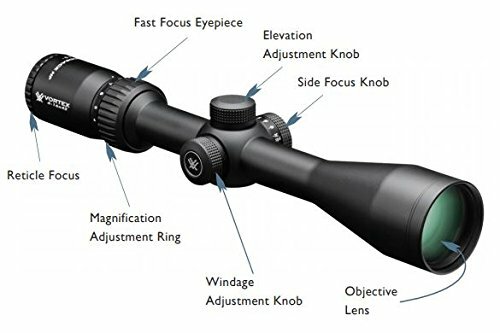 This is an extremely long range scope that will let you achieve your dream of hitting the 1000 yard milestone with the .30-06 cartridge. Moreover, the patented Dead-Hold BDC reticle will make sure that you have a clear target on your sight, even while aiming at the maximum range over a long period. You can access the different modes for the eyepiece easily with this scope. The side focus can remove the parallax adjustment to provide the most optimal image quality whereas the fast focus mode will let you acquire the target quickly with your reticle. It is also important to mention the extra-low dispersion glass which pushes the image resolution to the highest level. The XR fully multi-coated lenses also do a fine job of tuning up every transmissible light inside the scope. There could be no wrong if you are looking for a scope that can handle the long rang excellently well for both hunting and tactical shooting purpose. The massive 4-16x power zoom. The XR multi-coated lens that offers the highest fidelity of the image. The Dead-Hold BDC reticle technology that can rival any other scope of the same technology in the market. Not really suitable for short-range, even with the adjusted 4x power zoom. By now you should have all the knowledge you need to purchase the best scope for your .30-06 round. Just to remind you of what we already discussed, it is important to know what is the range that you are going to achieve. If you are dead-set on the maximum long range in which you can nail down your target with them not knowing where it was coming from, then the Vortex Optics Diamondback HP 4-16x42mm is a good choice for what it has to offer. If you want a lightweight scope that can provide some versatile aiming distance, then the Leupold VX2 3-9x40mm is a fine purchase both for the scope’s features and money value. Finally, the Nikon Prostaff 3-9x40mm, while being heavy for its weight, is an excellent option for an experienced hunter with all the standardized features that you can ever ask for in a compact scope.